Ecobee4 vs Nest: Which is the Better Buy for the Price? 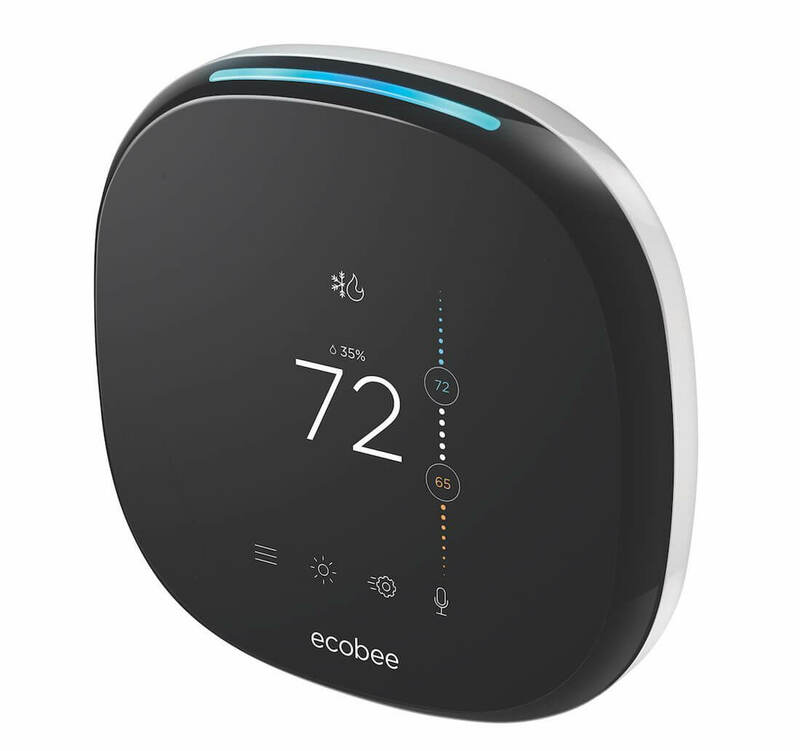 The smart thermostat competition is heating up with the introduction of the Ecobee4. 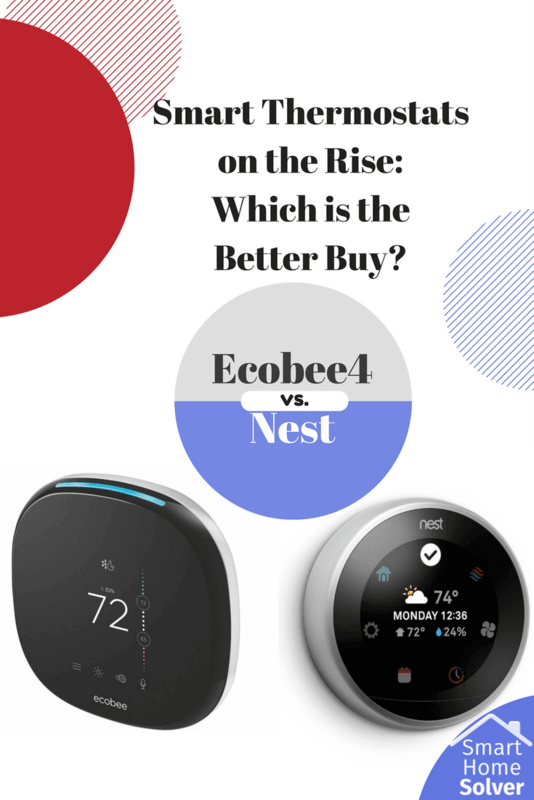 There are some popular options, but most consumers find themselves faced with a decision between Ecobee4 vs Nest due to the amazing features and functionality packed into each. Though the prices are similar, there are a few big differences between the two thermostats to make one of them a better buy. Which smart thermostat will have your home comfortably cool and wonderfully warm – while saving energy and tying in other smart home systems? We’ll aim to explain the biggest differences of Ecobee4 vs Nest in the following comparison. You’re probably not buying a smart home thermostat (only) because it will look neat on your wall. The top reason most people seem to buy a smart home thermostat is for the energy savings and ability to automate heating and cooling functions within the home. How does Ecobee4 vs Nest compare? HomeIQ reports provide you valuable (or at least super interesting) insight into where and when your home’s energy consumption is happening. Energy Star certified, making it easier to get rebates. Provides energy reports that will show you how to better regulate your home’s energy consumption. Energy Star certified, making it easier to get rebates. 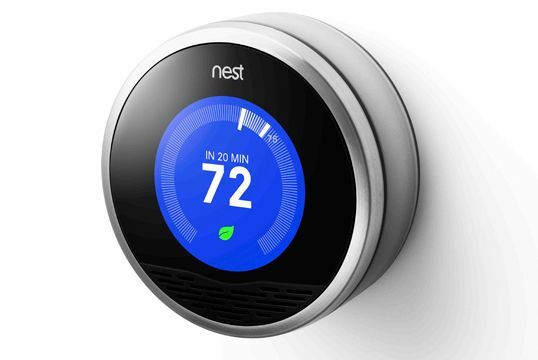 Nest is also the most recognized smart thermostat brand, so it may be the only brand your energy company offers rebates for. Reported energy savings are only in the 10-12% range for heating, and 15% for cooling. Maybe you are just buying it because it will look neat on the wall… More on whether or not the Nest is worth it here. Offers additional programs like Rush Hour Rewards and Time of Use savings. If you have an energy company that charges more during peak times, these programs can slightly reduce your usage to save you in the long term. If you can are wanting the maximum amount of energy savings, Ecobee4 may be your answer. But if your power company only gives rebates for Nest, or you have peak pricing, then Nest will be the way to go. Your best answer is to research the energy efficiency of both and decide. Room sensors allow you to monitor the temperature of multiple rooms and adjust the air accordingly. This prevents situations like a room with big windows from becoming extremely warm. The sensors also monitor room activity to find out when you are away and adjust the air automatically. 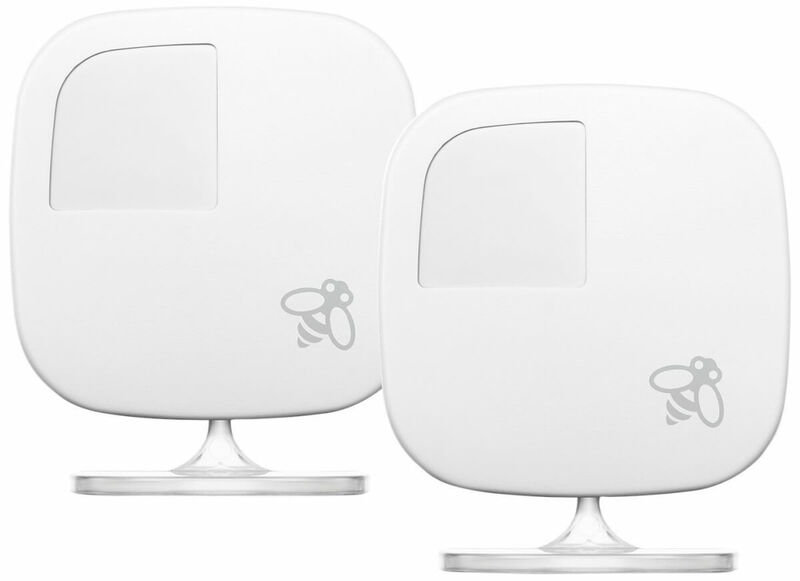 One room sensor is included, and additional are available for purchase. Hardwired to your home’s C-wire or you can use the included Power Extender kit. No batteries to recharge or replace. For the first week, you adjust the thermostat up and down as you leave during the day. After about a week, it learns your schedule and will automatically adjust itself. Battery-powered for some HVAC systems, requires a C-wire for others. Battery-power can be a good thing if you don’t have a C-wire, but when the unit is recharging, it temporarily shuts down – which is inconvenient at best, and uncomfortable at worst. Ecobee’s room sensor capability is unanswered by Nest, which cannot sense the temperature other than where the unit is installed. While Ecobee4 requires either a C-wire or the installation of a Power Extender kit, it works more reliably. There are some Nest reviews on Amazon of the unit turning off while recharging, which is obviously very inconvenient. In addition, while the “learning” features by Nest are impressive, they also can lead to headaches during the first few weeks of constantly adjusting Nest. Ecobee, on the other hand, knows when you leave based on when its external sensors no longer sense motion. One of the best things about smart home technology is that looks futuristic and has impressive design. When it comes to Ecobee4 vs Nest, this proves true – though there are differences in the capabilities and aesthetics of each. Adjust the settings on the unit with the LCD touchscreen, or in the app. Slim unit measures only 109mm x 109mm. Blue light on top shows when Alexa is responding. Tweak your home’s climate by sliding the active ring on the outside of the display to your desired temperature, or make changes in the Nest app. The sliding ring is very intuitive. Fantastic design with a round face that glows orange when heating or illuminates blue when cooling. 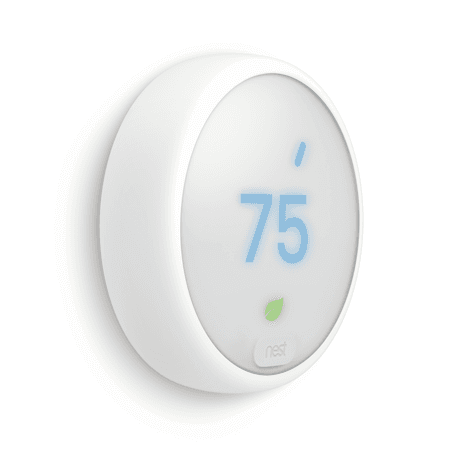 Nest has Farsight technology that will recognize when you’re in range and automatically display the temperature, weather conditions, or time, depending on your settings. This one you can almost determine with your eyes alone. Nest’s beautiful design is a few years old, but it’s still the best in the market when it comes to beautiful displays. Farsight technology is a big bonus since it illuminates and adds color to your wall without requiring any attention. Ecobee still has an impressive look, but there’s no beating Nest’s big, brilliant display. If you’re more of a minimalist, make sure you look into Nest E, which has a frosted white display and nearly all of hte same features of the original (see the differences here). Amazon Alexa is built in. In other words, this device isn’t just Alexa compatible, you can actually say “Alexa” and it lights up and responds to you. Update your grocery list, find out the weather, and of course change the thermostat using your voice. Ecobee4 also works with: SmartThings hub, Google Home, Apple’s HomeKit and Apple watch, IFTTT, Wink, and more. Integrates with the Nest cam and Nest Protect Smoke & CO monitor. Many smart home products are ready to pair with Nest, including Rachio, WeMo, Lutron, and LIFX. Compatible with major hubs and networks like Amazon Echo, Google Home, Wink, and IFTTT. Does not officially support Apple HomeKit or SmartThings. 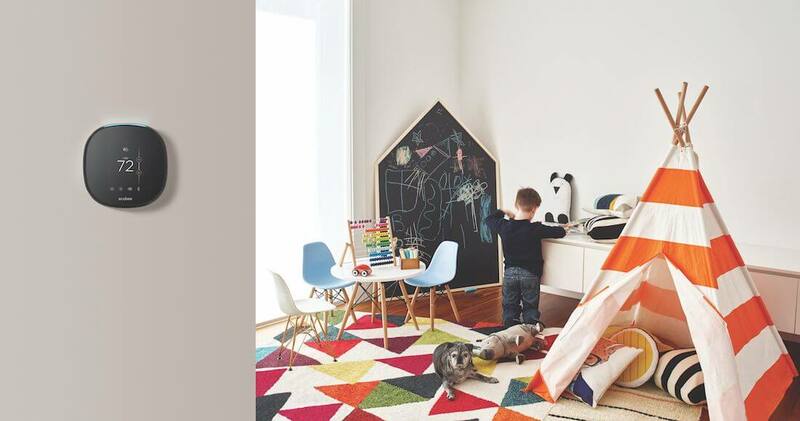 While Nest is highly connected to other devices, there’s no denying the power of a built-in Alexa like Ecobee4 offers. When passing by the thermostat or noticing that it needs to be changed from across the room, you can simply ask Alexa to change the temperature. This is much easier than getting up to change the thermostat, or navigating to the app in your phone. Of course, Alexa can also answer questions or automate other smart home routines around your home for all-in-one control. Ecobee4 also works with SmartThings, Wink, and other major players in the smart home world, making it a device that connects to others easier than Nest. While each of these smart thermostats has features and benefits that make it a worthy addition to your smart home, Ecobee4 is our top choice. The biggest advancement when comparing the new Ecobee4 vs Nest is integrating Amazon Alexa into the unit. The Nest thermostat just can’t compete with the 2-for-1 value and upgraded features of Ecobee4. By going with the Ecobee4, you can integrate two great smart devices into your home – a voice-controlled smart hub and a smart thermostat. Additionally the Ecobee4 has better energy savings over the Nest. This is a big reason to purchase the Ecobee4, since smart home technology often aims to improve efficiency and save money. It also has those ultra-convenient external sensors. The Nest does have an increased ability to learn your home and away patterns, but this is an easy thing to manually set via the Ecobee app. And while we love the design and display of the Nest, it falls short in matching the number of smart home platforms that Ecobee4 integrates with. While we love the Ecobee4, you may also want to check out our comparison of the Sensi, Nest, and Ecobee3 before making your final decision. You’ll also want to look at Ecobee3 vs Ecobee4 to see if the older model is worth its lower price tag. Does having a bonus smart home integration (like Amazon Alexa) make you more likely to purchase a smart thermostat? Let us know below. Editor’s Note: We originally published this in July 2017. Our writers updated it to stay current and accurate.